Give Dad a Father's Day gift that will satisfy his sweet tooth as well as touch his heart. These cute and easy dessert ideas for Father's Day are a great way to thank Dad for being a role model, teacher, and friend. 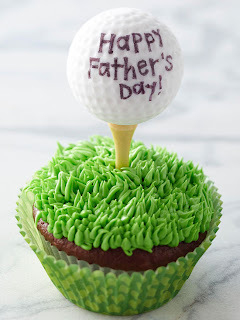 Hit a hole in one this Father's Day with a creative cupcake for the golfing dad. Bake traditional chocolate cupcakes, then use green food coloring to tint vanilla frosting. With a pastry bag and narrow decorating tip, create thin blades of grass with upward strokes. 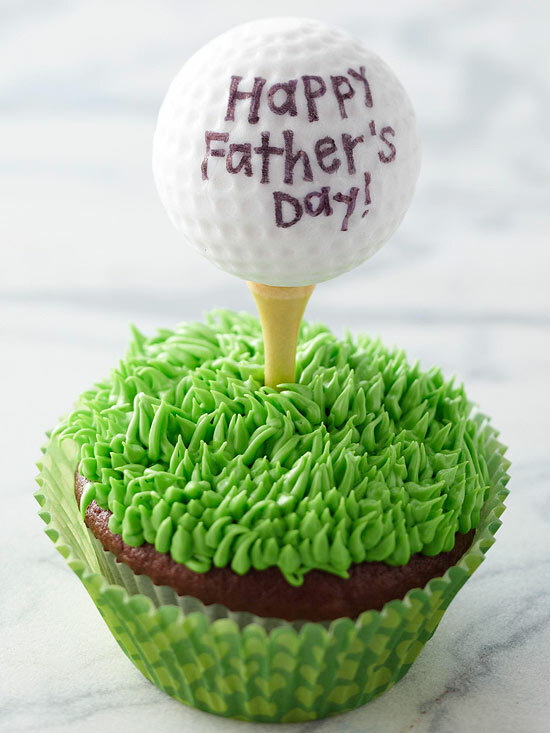 For the cupcake topper, write a message on a new golf ball. Hot-glue the ball to a new, clean golf tee. Stick the topper in the middle of the cupcake just before surprising Dad with the treat. Take Dad out to the ball game for Father's Day with these glove-and-ball cupcakes. 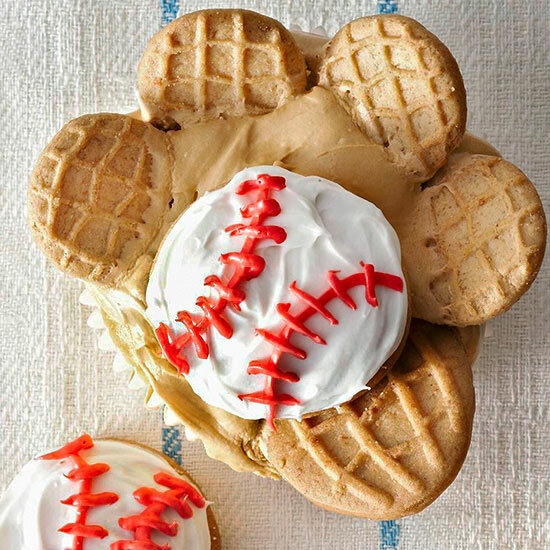 Frosted vanilla wafers with red icing details make each ball, while halved peanut butter sandwich cookies give each cupcake glove dimension. 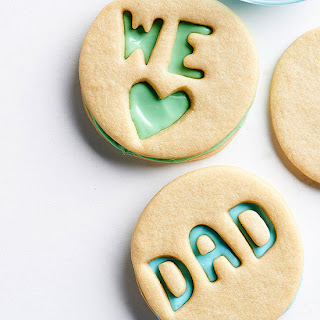 Put a homemade spin on store-bought sugar cookie dough by using alphabet cookie cutters to spell out Father's Day sentiments. Tint purchased frosting Dad's favorite colors and sandwich in between cookies after baking for an extra-special treat. Tell Dad how much he's appreciated with this adorable shirt-and-tie brownie cake. Bake a batch of brownies in a lined 13x9-inch baking pan; let cool. Frost the cake with Dad's favorite frosting flavor and color (we used chocolate). Create the collar and pocket with a darker shade of frosting, and use melted white chocolate to form the necktie. 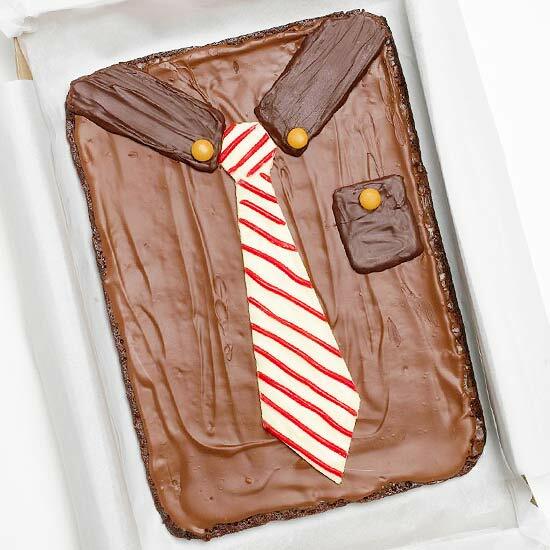 For a striped tie, use decorating gel icing or licorice. Add candy-coated milk chocolate pieces for collar and pocket buttons. 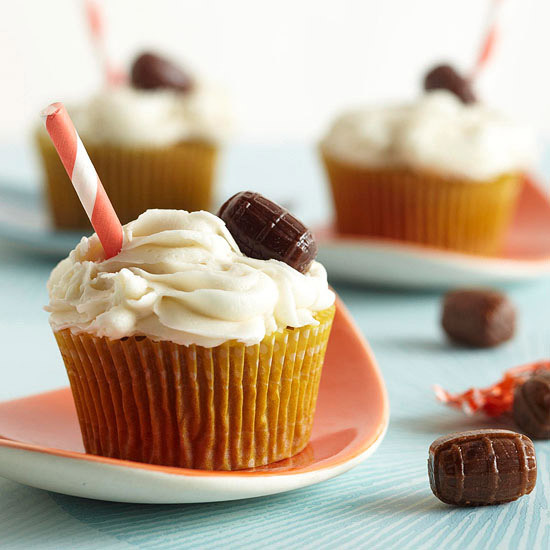 For the root beer-drinking dad, whip up these root beer float cupcakes, complete with root beer-flavor hard candies and colorful straws. 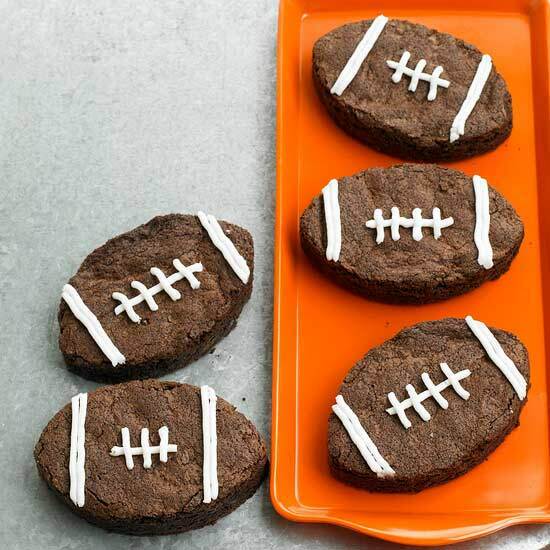 Score a touchdown in Dad's eyes with these fudgy football brownies. This Father's Day treat is especially appropriate for the guy who loves football and chocolate.